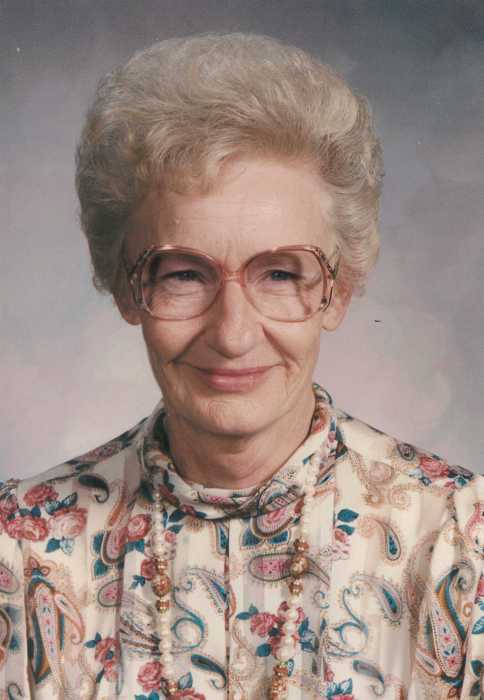 Dorothy F. Baker, age 89, of McCook, NE passed away Saturday, January 19, 2019 at Hillcrest Caring Center in McCook. Dorothy was born September 25, 1929 to parents Ernest Marian and Faye (Painter) Nelson in McCook. Dorothy was one of seven siblings who grew up in McCook. She graduated from McCook High School with the Class of 1947. Dorothy married the love of her life, Don Baker on June 19, 1947 in Oberlin, KS. The couple was blessed with two daughters; Anita and Diana. The family made their home in McCook where Dorothy worked as secretary for the McCook High School Principal for 34 years. She also enjoyed volunteering for the McCook Food Pantry and the Bison Alumni Newsletter. Dorothy loved her family and very family oriented. She could often be found working in her yard or watching sports, especially Husker and Bison Football. Dorothy had a special affection for animals, particularly her cat, Callie, and her dog, Bruno. Dorothy was a lifelong resident of McCook where she faithfully attended the Assembly of God Church. Dorothy was preceded in death by her parents; husband, Don Baker in 2001; son-in-law Harold Fisher; four brothers, Loren Nelson, Dale Nelson, Dare Nelson and Roy Smith; and one sister Donna Schiessler. Those left to celebrate her life include her daughters, Anita (Richard) Graff of McCook and Diana Fisher of Culbertson, NE; brother, Richard (Peg) Nelson of Miwaukee, OR; four grandchildren Chad (Sandy) Fielding of The Colony, TX, Brad (Emilie) Fielding of Des Moines, IA, Donnie (Mindy) Graff of Gretna, NE and Richie Graff (Shanna Higgs) of Omaha, NE; three great grandchildren Kayla Fielding, Courtney Adkins and Grayson Fielding; two great great grandchildren Tyson, and Aurora; sister-in-law Dorothy Roth of McCook, NE as well as numerous nieces, nephews and extended family members.